Maybe you have a tiny apartment without much storage space. Perhaps you live in a big city or in a suburban enclave ruled by an HOA. It could be that your budget is tight. And maybe you’re just not sure what on earth it is that you need to be doing to get better prepared. I’d like to introduce The Prepper’s Workbook. 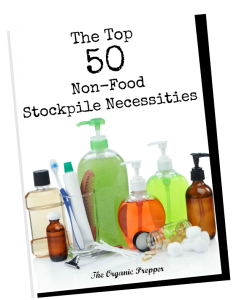 The Prepper’s Workbook is a PDF guide with 12 lessons that will help you to identify your biggest risks, figure out your plan and your backup plan, and get prepared for whatever emergencies might occur. You can be better prepped tomorrow than you are today, regardless of your budget, just by thinking through these exercises and identifying your assets and available resources. If you’ve been around for a while, you may recall that I had a course called Bloom Where You’re Planted. This 80-page workbook is directly derived from the course. This weekend only, it’s available for the introductory price of $5.49 – later it will be $15.49. 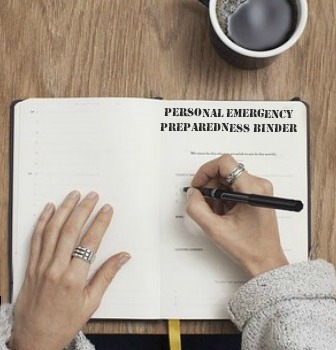 I know this will help you figure out where you’re at and what you need to do to get prepped wherever you are right now! I’ll help you create a plan that will work for you, regardless of your personal circumstances. Seriously – no matter what your budget is like or whether you live at the top of the Empire State Building (I don’t think people can really do that) we will create a plan that will get you as prepped as possible in your current situation!